This coming Saturday, I have the privilege of sharing a book signing event with another author. 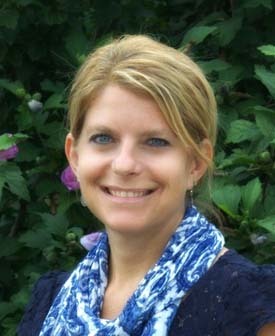 Brenda Yoder is from northern Indiana with a special interest in parenting and teens (HELLO! I am LISTENING!) and she has an amazing blog full of real life and real hope. 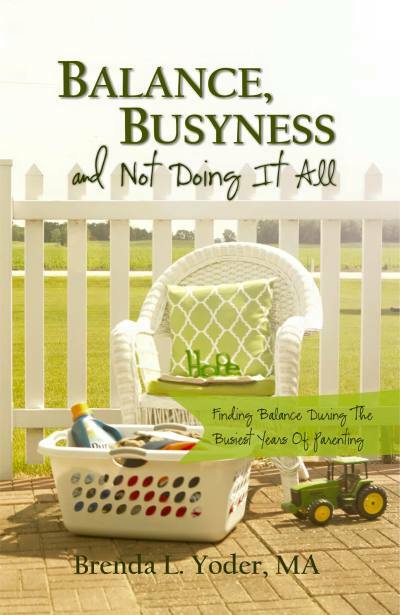 Brenda recently released a book titled Balance, Busyness and Not Doing It All (HELLO again!) and I CANNOT wait to get my hands on a copy. "Kids, laundry, ballgames, music lessons and project deadlines…. 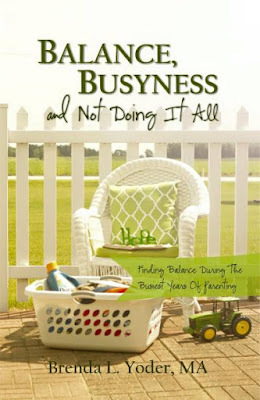 Balance is a book you’ll read once and go back to again and again for the practical reminders it offers." What I love about Brenda is her obvious interest in the family. In children. In parenting well. In helping teens dealing with identity issues. As a woman whose life can be summed up with these very things, I am excited to meet her, drink up any knowledge she has to give and hear her words of encouragement. If you are in the area, come see both of us this Saturday at the Red Wagon on the 3rd floor of the Mercantile in Shipshewana, IN. We will be there from 12-2. At 2:00, I will be speaking for a short time in the Davis Theatre about Fearless Living.